My experience of AutoCAD 2012 (aka Ironman). 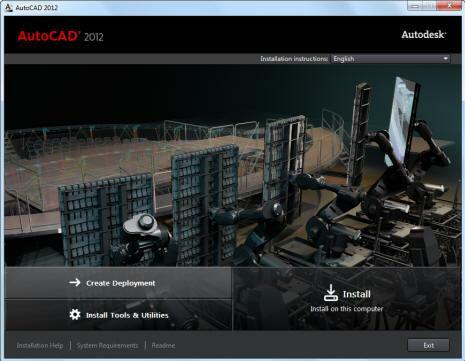 AutoCAD 2012 ('twenty twelve') was released on Tuesday, 22 March 2011. This is the 26th version of AutoCAD. Previous AutoCAD version AutoCAD 2011 and newer version AutoCAD 2013. New and/or enhanced functions and some bug fixes. No New file format "AutoCAD 2010 Drawing" is used. The version number is 18.2. The installer UI has been updated. Create Deployment, Install Tools & Utilities or Install on this computer. See the System Requirements. The process of installing or deploying AutoCAD 2012 consists of the three main steps shown in the diagram above. Preparation is very important for achieving a trouble-free and successful installation. Entering Information varies depending upon the kind of installation or deployment you need. Installation or Deployment executes quickly once you have made and specified your choices. You will either perform an installation on a single computer or create a deployment for multiple computers. In both cases, you decide whether to accept the typical default options or select your own options to configure a custom installation. Although the AutoCAD Installer has been designed to be self-explanatory, you can find answers to your installation questions in the FAQ provided here. Note that complete details for creating deployments are provided in the Network Administrator's Guide. What kind of installation will you perform? Typical installation with default options. For a typical installation, begin with a proper preparation. Then, just click through the installer, providing your serial number, product key, and license information. Pre-selected components will be installed with AutoCAD. Which of the additional bundled products (such as Autodesk Design Review) to install with AutoCAD. Which features (such as Express Tools) to install with AutoCAD. Select standard content libraries to install. Whether to accept the default to create a desktop shortcut. Whether to install any available service packs, either from Autodesk or from a local or network drive. Specify a location for your administrative image. Specify whether you want a network log file. Determine whether to run installations to workstations in silent mode. Determine whether you want to create a client log file in the Temp directory of each workstation. Whether to install any available service packs and whether to merge them with the deployment or append them. Whether to add additional files to the deployment. A folder or folders where support content will be installed. What modifications to make to the default search paths and the location of some program files. Whether to enable access to communication channels, live updates, and RSS feeds. Whether to enable access to online resources. VBA (Visual Basic for Applications) is still available as a separate installer. UPDATE: As of January 31, 2014, Autodesk is no longer authorized to distribute VBA 6 or earlier versions of VBA for use with Autodesk AutoCAD and other Autodesk products. This change affects the availability to download and install VBA for Autodesk AutoCAD 2013 or earlier. Simplified Migration to AutoCAD 2012: New and enhanced tools make it easier to migrate your custom settings or reset AutoCAD to the default install settings. Improved handling of tool palettes and new migration of custom materials help ease the transition to AutoCAD 2012, and a new reset tool helps easily return to default settings. Autodesk Vault is available for AutoCAD 2012 subscription customers. Faster startups, particularly running Vista or Windows 7. Switch ribbon tabs is nearly instantaneous. Opening large 3D models with lofts and meshes. Initializing orbit command and orbiting large 3D models. Improved performance with large, dense hatch objects. Selection highlighting, license checkout, running LISP routines. In AutoCAD 2012 The ARRAY command has been largely improved and is now creating a new array object that is also associative by default. The old AutoCAD array dialog box is gone (ARRAYCLASSIC available in SP1) with only –ARRAY as classic command line command and the ARRAY command is instead working with the command line, properties and the Ribbon. ARRAYRECT, ARRAYPATH, ARRAYPOLAR, ARRAYCLOSE and ARRAYEDIT are new commands. ARRAYEDITSTATE and ARRAYTYPE are new system variables. Associativity allows you to quickly propagate changes throughout an array by maintaining relationships between items. Arrays can be associative or non-associative. Associative. Items are contained in a single array object, similar to a block. Edit the array object properties, such as the spacing or number of items. Override item properties or replace an item’s source objects. Edit an item’s source objects to change all items that reference those source objects. Non-associative. 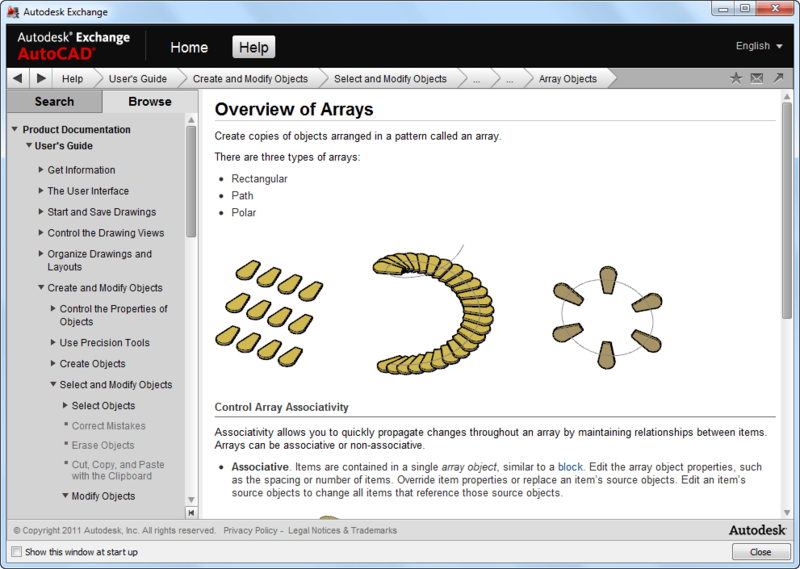 Items in the array are created as independent objects. Changes to one item do not affect the other items. To edit the array properties, use ARRAYEDIT, the Properties palette, Ribbon or grips. Apply Item Overrides: Ctrl+click items in the array to erase, move, rotate, or scale the selected items without affecting the rest of the array. Reset the array to remove all item overrides. Replace items: Replace selected items with other objects. Any item overrides are maintained. You can also replace all items that reference the original source objects, rather than selecting individual items. Edit Source: To edit an item’s source objects, activate an editing state for a selected item. All changes (including the creation of new objects) are instantly applied to all items referencing the same set of source objects. Save or discard your changes to exit the editing state. There are unfortunately a few bugs still in the new Array command that hopefully soon will be squished either as a hotfix or in AutoCAD 2012 Update 1 (AutoCAD 2012 SP1). There is no LISP API to create and edit the new array object. What if a drawing with the new Array object is opened in AutoCAD 2011 or older versions? The Associative block is a static anonymous block and all arrayed objects are also anonymous blocks. So you would need to explode twice to get the individual objects back. The Copy tool includes a new Array option that enables you to create a linear, non-associative array. You can enter the distance between a specified number of copies or enter the number of copies to fit between two specified points. 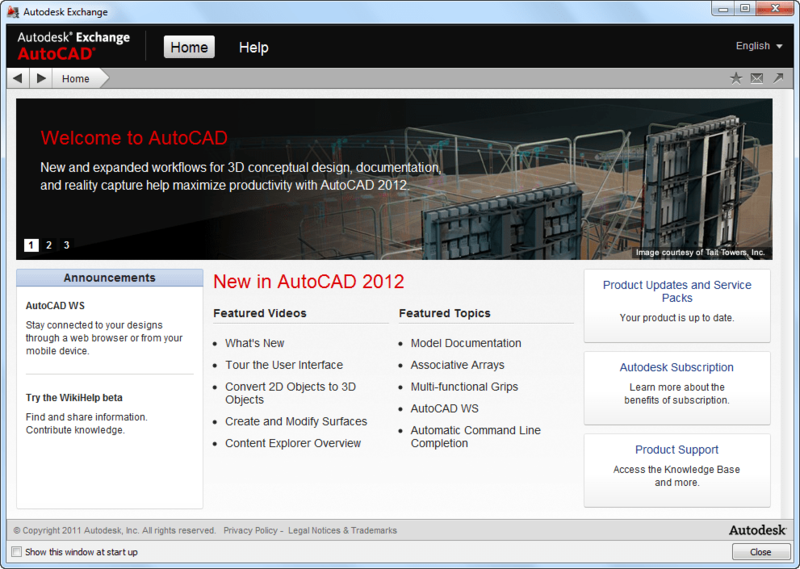 AutoCAD 2012 introduces AutoCAD Content Explorer. It overlaps to some extent with the old Design Center and comes via Autodesk Labs Project Snap. Content Explorer is available on the Plug-ins ribbon tab and comes with the commands CONTENTEXPLORER and CONTENTEXPLORERCLOSE and system variable CONTENTEXPLORERSTATE. Content Explorer aggregates design content from different folders that have been specified for monitoring by the Content Service (that is using Lucene for index/searching). With Content Explorer you can index design content for quick access, catalog the objects in each file, and search for content in local folders (not external drives), network folders (not Windows network drives), and the Autodesk Seek Library. Browse into DWG files and access and insert blocks, layers, linetypes, styles, etc. Search for objects, all text, attributes (including block attributes), and files in specified local and network folders. Right-click and select Open and Find text to open the drawing and locate any text within. The saved searches feature allows you to capture a certain search string in a single click. You can eliminate all of the steps required to search for specific files or objects by saving the search string. For example, you can save a search that locates all of the furniture created by a specific designer. Any time you want to quickly access furniture, select the saved search. Since the index is continuously updated, any new files that meet the search criteria are displayed every time the search is recalled. You can also delete saved searches, edit the names of existing saved searches, and save new searches on the Saved Searches drop-down menu. Advanced searches can be performed using property:value pairings or boolean operators. You can refine your searches by using string combinations and value pairings. A property:value pair is the property name and specific value for which you want to search. To search for a property with a specific value, enter the data as property:value in the Search field. For example, enter author:jsmith in the Search field to find all of the DWG files where the author was JSmith. More than one property:value pair can be used in a search string. For example, you can search for all of the drawing files identified as seating which were created by jsmith by entering objecttype:seating author:jsmith in the Search field. You can create custom properties and values for your files on the AutoCAD properties dialog box. An attribute:value pair is the block attribute and specific value for which you want to search. To search for a block attribute with a specific value, enter the data as attribute:value in the Search field. For example, enter Designedby:JohnDoe in the Search field to find all of the objects designed by John Doe. With the basic search capability, you can enter a text string and the search engine will return all files with a file name, keyword, title, author, or other properties that meet the string criteria, as well as any files containing the string, and objects with names that match the text string. Sometimes this type of string search will return more results than you need. Use the text:string pair to search only for text entities, such as leaders, fields, hyperlinks, MText, tables, or any other text that may show up on a drawing. This type of search parameter will not search file-level properties, such as Author or Title. To search for a specific text string, enter the data as text:string in the Search field. You can use wild cards when specifying search criteria. * - Represents any number of characters within a string.
? - Represents a single character within a string. The search engine assumes a trailing asterisk (*), so you do not need to put an asterisk at the end of a search phrase. You can use operators to further refine your search results. For example, to search for all of the files identified as seating that were not authored by JSmith, enter objecttype:seating NOT author:jsmith in the Search field. AND - Searches for x AND y in any order. The search granny AND smith returns anything containing both words. OR - Searches for either x OR y. The search granny OR smith returns anything containing either word. NOT - Searches for x but NOT y. The search granny NOT smith returns anything containing granny but not smith.
" " - Searches for the exact phrase contained within the quotation marks. The search "granny smith" returns everything containing the exact phrase granny smith. The filter lets you choose object types, specific dates, date ranges, and relative dates to display in search or browse results. Filter settings persist throughout searches and browsing until they are changed or the filter is deactivated. If you do not get the search or browse results you expect, try checking your filter settings to make sure they are current. The indexing occurs in three stages, with deeper indexing occurring with each stage. The stages can be determined by the thumbnails displayed in the Content Explorer window. File has been discovered by the indexer. By the end of this stage, file name and standard Windows properties have been extracted. You can search for file names and Windows properties, but you cannot explore the content within the file. Note! Since all text and attributes in the files are indexed, the initial index of the files contained in the watched folders may take some time to complete. Thumbnail and DWG-specific file properties have been discovered. During this stage, all objects and any text in the drawing, including block attributes, are being indexed. 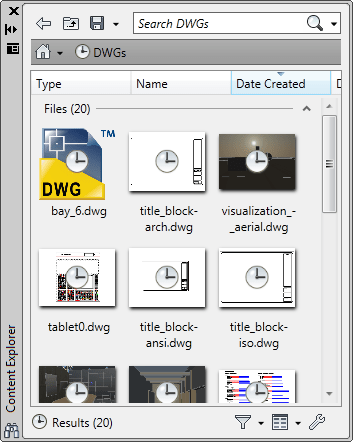 You can now search for DWG properties, but you cannot explore the content within the file. You can now explore or search for content within the file. There was an issue while indexing this file. Select the file and press CTRL+ I for more information regarding the issue. If the Sheet Set Manager dialog opens every time you open a file in Content Explorer, it is because of the SSMAUTOOPEN system variable setting. Change the setting to suppress the dialog. If you plan to search folders on several different network computers, Content Service must be installed on each network computer and the folders added to the watched folder list for indexing. Any machine running AutoCAD or an AutoCAD vertical with Content Explorer can access the network machines running Content Service for real-time search results. Home. Provides a wide variety of content, including announcements, expert tips, videos, and links to blogs. When enabled for online access, the Home tab also includes access to the Knowledge Base, Communication Center, and Subscription Center. Help. Opens the AutoCAD Help system. The tabs for online sources are not available in all languages, products, and installations. Autodesk Exchange can be configured for offline use only, in which case only the Home and Help tabs are displayed. The Autodesk Exchange is a modeless windows showed on top of AutoCAD but work in AutoCAD can be done. It can be minimized itself or together with AutoCAD when AutoCAD is minimized. Using Alt+Tab when Autodesk Exchange is minimized will not show the window even though it can be seen on the taskbar. It's not possible to get internal content or custom help files to integrate. The only option is to access it via the CAD Manager Feed button. Deployment Wizard or CAD Manager Control Utility can be used to enable the CAD Manager Channel. To disable Exchange for all users at deployment, uncheck the option "Use Online Help from Autodesk when available" in the deployment wizard. The end-user can turn it back on in the Options dialog though. In-canvas Viewport controls are displayed at the top-left corner of each viewport, and provide a convenient way of changing views, visual styles, and other settings. You can click within each of the three bracketed areas to change the settings. Click + to display options for maximizing the viewport, changing the viewport configuration, or controlling the display of navigation tools. Click Top to choose between several standard and custom views. Click 2D Wireframe to choose one of several visual styles. Most of the other visual styles are used for 3D visualization. VPCONTROL system variable controls whether the menus for viewport tools, views, and visual styles that are located in the upper-left corner of every viewport are displayed. The UCS has been updated to allow direct manipulation. Select the UCS icon and use the multi-functional grips to change the UCS. Easily move the origin, align the UCS with objects, and rotate it around the X, Y, or Z axis without having to access the UCS command. 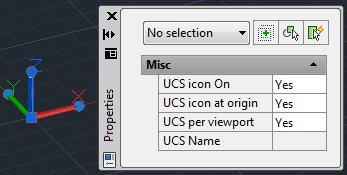 When selected Properties give access to UCS icon On, UCS icon at origin, UCS per viewport and UCS Name. Right click on the UCS Icon for more options. This is customizable using CUI. Create spline objects with options for tangent or smooth continuity between two curves with the new Blend tool. 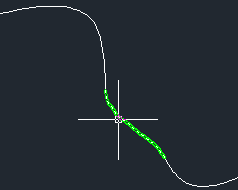 BLEND creates a spline in the gap between two selected lines or curves. In below image the green spline is created by the blend command. Valid objects include lines, arcs, elliptical arcs, helixes, open polylines, and open splines. 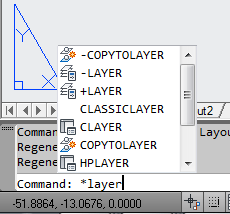 A new layer management option enables you to quickly freeze specified layers in all viewports except the current one. You can access this functionality from the right-click menu in the Layer Properties Manager as well as from the Freeze option of the VPLAYER command. The Mtext background mask has been updated to remember the last used fill color and border offset factor rather than always defaulting to red and 1.5. 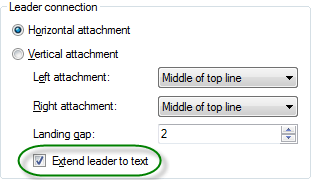 To have more control over your leaders, you can now change the gap around Mleader text in a text frame. You can also extend the leader line to the text rather than ending at the text bounding box. Access the MLeader improvements in the Multileader Style dialog box. When the Frame Text property is enabled, the Landing gap value specifies the distance between the text and the text frame. The Fillet and Chamfer tools have been updated to display a preview when passing the cursor over the second object in the fillet/chamfer selection. Now you can confirm and change the radius or distance values before even completing the command. When using the Polyline option, the preview fillet arcs or chamfer lines are displayed for the entire polyline. If the preview is not as desired, you can edit the fillet radius or chamfer distance/angle prior to completing the operation. The Fillet tool now supports filleting of spline objects. The new Blend tool creates spline objects with options for tangent or smooth continuity between two curves, speeding documentation time. It supports lines, arcs, 2D and 3D polylines, splines, helixes, and elliptical arcs. The Join tool is streamlined to automatically combine selected objects using typical selection methods such as crossing or picking objects in any order. You are no longer required to select the source object first. Splines have been updated in AutoCAD 2012 to support periodic splines. When you specify the Close option for a spline, a periodic spline with C2 continuity between the start and endpoints is generated and the new Periodic property is listed in the Properties window. An example of a periodic spline. Periodic behavior is also supported when rebuilding closed NURBS surfaces. When converting an analytical surface to a NURBS surface, a periodic NURBS surface is created if the end conditions of the surface allow for it. 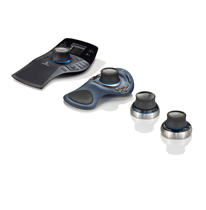 AutoCAD 2012 provides more flexible and intuitive behavior with greater control when grip-editing fit points of splines. In addition, the knot parameterization property of the spline, which is displayed in the Properties palette when the method is set to Fit, has changed from a read-only text field to a drop-down list where you can specify chord, square root, or uniform knot parameterization. Changing the knot parameterization value is often useful when switching from editing the control vertices of the spline to editing the Fit points of the spline. It provides greater control over the shape of the spline as it passes through the Fit points. The Kink option has been added to the Splinedit tool when selecting a Fit Points spline. The Extend tool is enhanced to support splines when selecting objects to extend. The spline is extended while maintaining a curvature that is continuous with the original spline. 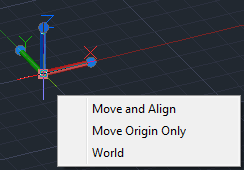 The 3D Edit Bar is enhanced to support splines and is accessible from the right-click menu when a spline is selected. It enables you to move the location of a point on the curve, change the magnitude of the tangency at the point, and change the tangent direction relative to the point. When you right-click with a dimension selected, you now have the option to Remove Style Overrides. Save time by automatically generating intelligent documentation for AutoCAD, Inventor, and other models. Drawing views, edge display, and location are instantly updated when an engineering change is made. Access the model documentation tools from the Drawing Views panel of the Annotate ribbon tab. Using the Drawing View editing tools, you can easily modify drawing views after they’ve been created. When changes are made to the source of a drawing view, various notifications appear. Standards play a role in almost every aspect of documentation, including the representation of drawing views. You can specify drafting standards for new drawing views using the Drafting Standard dialog box, which is accessible from the dialog box launcher in the lower right corner of the Drawing Views ribbon panel. You can specify first angle and third angle projection methods, which support the ISO and ANSI standards. 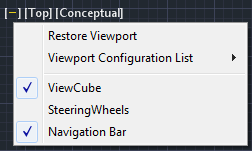 The Export Layout tool has been updated to support new 2D View functionality in AutoCAD 2012. You can access this tool from the Save As>Save Layout as Drawing option in the Application menu. 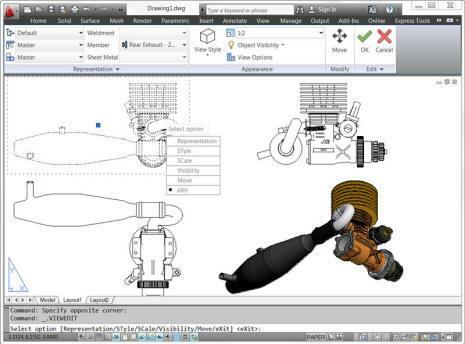 Import a wide variety of other formats including SolidWorks®, Pro/ENGINEER®, CATIA®, Rhino, and NX®. Drawing views, edge display, and location are instantly updated when an engineering change is made. The ability to import these file formats supports surfaces, solids, and 2D and 3D wire geometry. The data is translated to native AutoCAD geometry and inserted into the drawing as blocks. Parts and assemblies in the original models are preserved and replicated as nested blocks. After importing, you can freely modify the data using standard AutoCAD editing tools and document the 3D models using the new model documentation tools. With access directly from the AutoCAD 2012 interface, AutoCAD WS web and mobile application for AutoCAD software allows you to stay connected to your designs over the web or from your mobile device. Adds to the 3D conceptual design capabilities of AutoCAD and sets a new standard for professional 3D modeling ease of use. It enables you to flexibly edit and validate models from almost any source, helping you further experience the benefits of easy-to-use 3D in the native DWG format. Inventor Fusion 2012 that got installed along with AutoCAD 2012 and Inventor 2012 has the Alias Design surfacing technology in it. Fusion is very different from AutoCAD and is in reality a separate application running within AutoCAD making it take relative long time (several seconds or minutes) to go back and forth because the “Inventor Fusion.exe” process has to be started and closed each time. When you click the “Edit in Fusion” button you can select only solid objects. 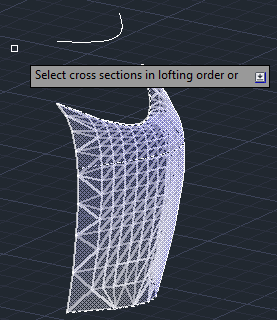 Multi-functional Grips has been extended to include AutoCAD objects like lines, arcs, elliptical arcs, dimensions, mleaders, 3D faces, edges, and vertices. When passing the cursor over the edge of an attached image, DWF, or PDF file, a selection preview frame is displayed, even when frames are turned off. When passing the cursor over geometry inside an attached DWF, PDF, DGN, or DWG file, a selection preview frame is displayed, even when frames are turned off. Select the frame and it is possible to grip-edit a clipped boundary frame. When a reference is selected in External References manager the frame is automatically displayed. The former NCOPY express tool is integrated into the core AutoCAD software application enabling you to copy objects that are nested in xrefs, blocks, or DGN underlays without having to explode or bind them. Easily access the Copy Nested Objects tool from the Modify panel on the Home ribbon tab. Clean up your drawings by removing duplicate or unneeded geometry. The Delete Duplicates tool provides increased performance— especially when running on drawings with many objects. The command OVERKILL is now a core command instead of an Express Tool command. To nudge selected objects in orthogonal increments, press Ctrl + arrow keys. Snap mode affects the distance and direction in which the objects are nudged. Nudge objects with Snap mode turned off: Objects move two pixels at a time; movement is relative and orthogonal to the screen, regardless of the view direction or the UCS orientation. Nudge objects with Snap mode turned on: Objects are moved in increments specified by the current snap spacing; movement is orthogonal to the X and Y axes of the current UCS and relative to the view direction. See SNAPMODE and SNAPUNIT. When Snap Mode is on the cursor no longer snaps to grid points when selecting objects, only when specifying points. For those users who prefer the "old style" Snap, a new variable called SNAPGRIDLEGACY was introduced in SP1 for AutoCAD 2012. When picking the first point of an implied window (when you select a point outside an object) it is possible to access Fence/WPolygon/CPolygon. Selects a clicked object or begins a selection window whether the cursor is on an object or not. For PICKAUTO settings 0 and 1, object selection occurs when the mouse button is pressed. For PICKAUTO setting 2, object selection occurs when the mouse button is released. With the new option when PICKDRAG is set to 2 there is no need to choose how to make a selection window. Create a selection window using two points. Click once to begin a selection window, click again to complete the selection. Create a selection window clicking and dragging. Release the mouse button to complete the selection. Create a selection window using either of the methods above. Autodesk Vault support is integrated with the Sheet Set Manager. Open and check out sheet set files from Autodesk Vault. And, when using the Workgroup, Collaboration, and Professional versions of Autodesk Vault, revisions and lifecycle management are also supported by Sheet Set functionality. Updates to the Vault Client enable you to display sheet set data, extract and index sheet set properties, and publish sheet sets with the Autodesk Vault Batch Plot Manager. If Autodesk Vault is installed on your system, Vault status icons are displayed in the Sheet Set Manager for the sheet set, individual sheets, and files. The status is also displayed on the tooltip when you hover the cursor over a sheet in the sheet list. The right-click menu in the Sheet Set Manager is updated to include a Vault option. When you right-click on the background of the Sheet List, Sheet Views, or Model Views, you can access the options to Log In and Log Out of Vault. 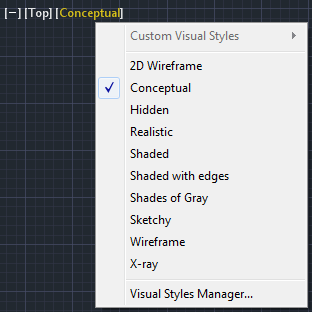 A big news in AutoCAD LT 2012 is that Sheet Set Manager is available. See also JTB World's SSMPropEditor that further helps work with SSM. Helping make it easier to collaborate, the DWG conversion tool enables you to translate AutoCAD DWG files to any of the following DWG versions: Release 14, 2000, 2004, 2007, and 2010. And since you can convert files in batches, you can quickly bring older file libraries up to date. Easily access the DWG Convert tool from the Applications menu in the upper left corner of the AutoCAD window. 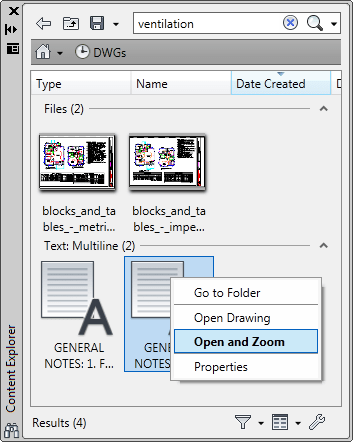 Choose Save As>DWG Convert to display the DWG Convert dialog box. In the DWG Convert dialog box, you can specify the DWG files to be converted, save the list for future use, create new lists, and open or append existing lists. Conversion Setups enable you to specify the conversion properties, such as file format and path options. You can specify how to store the converted drawings, in a zip file or self-extracting executable, for example. Additional options enable you to perform actions such as purging the drawings or replacing page setups during the conversion process. You can save multiple conversion setups, enabling you to easily restore a specific set of conversion properties. For example, you may have a particular client that requires you to save all the drawings to AutoCAD 2000 file format, while another one insists that you purge all the drawings and submit them in AutoCAD 2010 file format. The behavior for Perpendicular and Tangent object snaps is enhanced in AutoCAD 2012 to provide more flexibility. 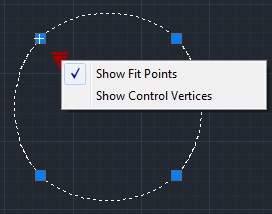 Now, when grip-editing the endpoints of lines or the endpoints and vertices of Polylines, AutoCAD enables you to choose from multiple snap points based on the location of the cursor. In other words, AutoCAD finds object snap points to make objects tangent or perpendicular, as well as the tangent or perpendicular points relative to the selected grip. The Osnap glyph is displayed at each possible location as you move the cursor of the object. If Infer Constraints is enabled when using the perpendicular or tangent object snaps, the corresponding geometric constraint is automatically applied to the objects. Support for 3Dconnexion devices is improved in AutoCAD 2012. The precision and controllability of 3D mouse movements were further optimized to provide a more superior 2D and 3D navigation experience. In Walk and Fly modes, the navigation speed accelerates as the camera position moves away from the model. With Object mode, a consistent zoom speed is maintained regardless of the model size or position of the camera within the drawing. The Autosnap Marker control in the Drawing Window Colors dialog box is renamed to 2D Autosnap Marker and a new 3D Autosnap control was added. With different colors, you can more easily distinguish between 2D and 3D osnaps in the drawing editor. Presspull functionality provides an easy way to create and edit solids. You simply click in a bounded area of a solid and AutoCAD dynamically creates an extruded solid. If the bounded area is the face of a solid, the extrusion is added or removed from the solid. In AutoCAD 2012, powerful Presspull functionality has been updated to repeat until you exit the command enabling you to quickly press and pull multiple times in a single operation. The new Offset Edge tool, available on the Solid Editing panel, enables you to create an offset curve from a planar face or from a surface where all the edges lie on the same plane. After you select a face, the edge of the face is dynamically offset to the inside or outside based on cursor location producing a polyline or spline. During the offset operation, you can access the Corner option to specify sharp or rounded corners for the offset curve. After offsetting an edge, you can use the Presspull tool to easily add or remove the bounded area from a solid. Chain or Loop options to simplify the process of selecting a set of contiguous edges or curves. The new Chain selection option detects if there is a set of contiguous edges within a solid or mesh object, or within or between surfaces. The chain may either be open or closed and is available in the SURFPATCH, SURFBLEND, MESHCAP, and FILLETEDGE commands. 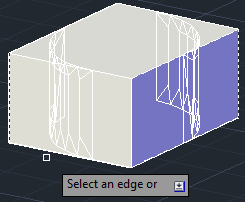 The Chain option within the FILLETEDGE command identifies and fillets edges that have continuity. For example, the part below on the left does not have rounded corners so the fillet operation is limited to the selected edge. The part on the right, however, has rounded corners enabling the Chain option to select and fillet all the continuous edges. In addition to the Chain option, the FILLETEDGE and the CHAMFEREDGE command include a Loop option. A loop is similar to a closed chain. After selecting an edge, you can choose which of the potential loops to use. The Properties palette for trimmed surfaces is updated to provide more control and flexibility. A new Trims pane displays trim properties for the selected surface. It includes an Edge property, which cycles through the edges and highlights them in the drawing. The new Associative Trim property indicates if the current edge is associative. You can remove the associativity for any given edge. A new preview provides a visual cue indicating when a surface or solid is in an intermediate state during creation. For example, as you select profiles to create a lofted solid or surface, an updated preview of the resulting object is displayed with each selection. And an example with FILLETEDGE. PREVIEWCREATIONTRANSPARENCY controls the transparency of the preview generated while using SURFBLEND, SURFPATCH, SURFFILLET, FILLETEDGE, CHAMFEREDGE, and LOFT commands. Solid history is turned off by default in AutoCAD 2012. With solid history turned off, you can directly edit faces, edges, and vertices of solids. To retain solid history, you can set the SOLIDHIST system variable to 1. AutoCAD 2012 includes an improved indexing algorithm for generating PCG files in addition to optimized viewing at changing zoom levels. The Materials Browser has been updated in AutoCAD 2012 for improved usability. The Create Material menu includes descriptive labels to clearly indicate that it is for creating new materials. And, when you use the Search tool, the results more clearly describe where materials were or were not found. Many material swatches have also been updated. To help you more easily find materials based on category, materials in the Autodesk Materials Library have been organized into nested categories where appropriate. The Materials Editor has also been updated with labels that make it easier to find controls for creating materials, specifying options, and accessing the Materials Browser. The Information tab in the Materials Editor now includes a field for the material name. Behavior in the Texture Editor is updated to automatically expand the Transforms options, making it easier to find key properties such as position and scale. This Medium Resolution Image Library contains medium resolution images (approximately 1024 x 1024) for rendering materials in medium detail and is used for close-ups and for rendering objects at larger scale. Due to its size (close to 750 MB) and somewhat infrequent usage by most AutoCAD customers, this library is not included in the 2012 installer. If the AutoCAD 2012 Medium Resolution Image Library is required to produce higher resolution renderings when issuing the RENDER or RENDERCROP commands you will get the options to Install the Medium Images Library, Get More Information or Work without using the Medium Images Library. With the evolution of the Autodesk Materials Library, the MATSTATE and MATERIALSPATH variables are no longer necessary and have been removed. AutoCAD 2012 provides increased flexibility for managing plot files. You can now specify multiple folders for printer configuration (.PC3) files, printer description (.PMP) files, and plot style (.CBT & .STB) files. You can add support paths on the Files tab of the Options dialog box. If these files are not found in the specified folders, AutoCAD automatically searches for them in the folder of the host file. A copy of the shortcut to the Add-A-Plot Style Table Wizard or Add-a-Plotter Wizard is added to the new path. Working with groups is made more streamlined and easier to use. Access the Groups tools from the Group panel on the Home ribbon tab. The Group tool replaces the traditional Object Grouping dialog box. When a group is selected right-click for related tools. 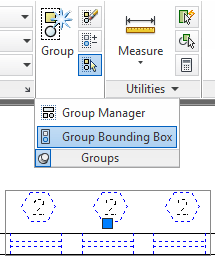 The Group Bound Box controls how groups are displayed. When it's enabled, AutoCAD displays a single grip and a bounding box around the group. The Named Groups tool displays the classic Object Grouping dialog box. PURGE command has been updated to support the purging of groups that contain no objects. Entering a command or system variable at the Command prompt is assisted with several features that list or complete the commands and system variables as they are being typed. The AUTOCOMPLETE command controls which of the features are turned on. Right-click in the command line to access the new AutoComplete controls: Auto-Append, Suggestion List, Display Icons, Display System Variables and Delay Time. Use of wildcards like * and ? works when entering a command as seen below. The command history is by default distinguished from the active command line with a grey background color. 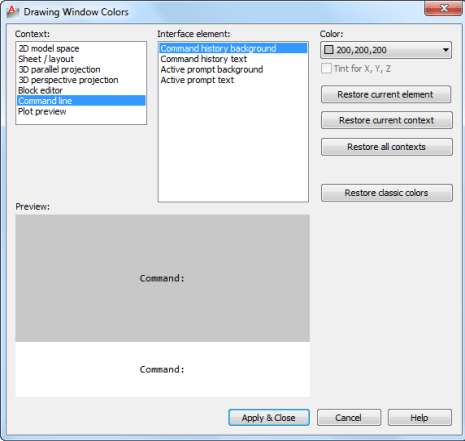 In Options>Display>Colors>Drawing Windows Colors dialog box the Command history background, Command history text, Active prompt background and Active prompt text colors can be changed. Vertical and horizontal scroll bars only appear when hovering on the right side or right bottom. Quick Properties is automatically displayed when you double-click on most objects and is automatically dismissed when the selection set is cleared. The default list of quick properties has been updated to include more frequently used properties. Home tab includes changes in the Draw and Modify panels. The Insert tab now has Block and Block Definition panels. Wblock is included in the Create Block flyout. View tab includes a new Forward tool and a Rectangular viewport option has been added to the Viewports panel. Support for complex linetypes in DGN files is improved in AutoCAD 2012. Now when you import or export using the DGN V8 file format, complex linetypes are maintained. We now have the ability to access and modify object properties with a set of 4 new functions. The functions can be used to access both graphical and non-graphical objects in a drawing. The functions are not available in earlier releases and are a nice alternative to using the VLAX functions that are only available in AutoCAD 2012 on Windows and can also be used on AutoCAD for Mac. dumpallproperties - Outputs all the properties and their current value for the specified entity. getpropertyvalue - Returns the current value of the specified property for an entity. ispropertyreadonly - Returns T or nil of the specified property for an entity is read-only or not. setpropertyvalue - Sets the specified property to a new value for an entity. ename: Name of the entity being queried. The ename can refer to either a graphical or non-graphical entity. context: Value expected is 0 or 1, the default is 0 when a value is not provided. When 1 is provided as the context, some property values such as Position, Normal, and StartPoint are promoted from a single value to individual X, Y, and Z values. ename: Name of the entity being queried. The ename can refer to either a graphical or a non-graphical entity. propertyname: Name of the property being queried. For a list of all the valid property names of a given object, use dumpallproperties. collectionName: If the object is a collection object, the Collection name is passed here. index: The collection index being queried. name: The name of the property within the collection being queried. The following example demonstrates how to get the current radius value of a circle. 1 is returned when the property is read-only; otherwise, 0 is returned when the property is writable. The following example demonstrates how to check the read-only state of the Radius and Area properties of a circle. ename: Name of the entity being modified. The ename can refer to either a graphical or a non-graphical entity. propertyname: Name of the property to be modified. For a list of all the valid property names of a given object, use dumpallproperties. value: Value to set the property to when the object is not a collection. index: The collection index to be modified. name: Name of the property in the collection to be modified. val: Value to set the property to. nil is returned unless an error occurs when the property value is being updated. The following example demonstrates how to change the radius of a circle. The following example demonstrates how to apply overrides to a linear dimension. The following outlines the additions and changes made to the ActiveX API in AutoCAD 2012 and AutoCAD 2012-based products. Still missing. Wish list for the next time. Using fence it would be possible to select an object with a linetype with spaces when the fence is hitting the space in the linetype. Preview handlerfor Vista and Outlook 2007 and Outlook 2010. In sheet set manager it used to work adding the Unicode \U+000A to force a new line (line feed) in properties so it showed on say two lines on the drawing. Now it gives a new line using SHX fonts and nothing at all with TTF fonts. Add support to find solid and gradient hatches with the Matchprop command as easily as you can with the Erase command and solid hatches. If you have a select object command like Erase and move it over a solid or gradhatch it is not always showing that the object is selectable (selection preview) even though it is if you try to click on it. In dialog boxes like the Open dialog box it should be possible to save changes like columns to show, width, sorting, grouping etc. Ability to change background color and size of DWG previews in for example the Open dialog box. Be able to rotate OLE objects. 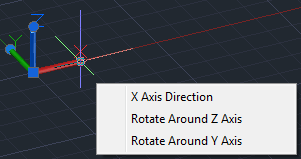 Easy way to change the length of the extension lines on dimensions. Existing bugs, defects, feature limitation or other issues. The new Array command has some issues. While some dialog boxes are opened in AutoCAD it is impossible to switch to AutoCAD using Alt-Tab. NCOPY does not work with xrefs or blocks inserted on a layout. XCLIP has problem to correctly work with boundaries containing arcs. See this example: XCLIPbug.DWG. JOIN wrongly creates a 2D polyline instead of a 3D polyline if you join two lines where the last drawn lines last point has a different Z-value. In CUI it is not possible to clear Extended Help File property. There is a bug that makes it impossible to use PROPULATE if the DWG file name contains commas and possibly other special characters. DSVIEWER, SCREENMENU, BLIPMODE and TRACE commands have been removed as well as some system variables. More here. Use REDEFINE to restore the commands if needed. The Screen Menu has been removed. The classic Array command dialog box has been removed. AutoCAD 2012 also is referred to as ACAD2012 or ACAD 2012. AutoCAD 2012 product key is 001D1. Solution to the problem: The Ribbon does not have any tabs or panels currently loaded. Languages available for AutoCAD 2012: English, German, French, Italian, Spanish, Brazilian Portuguese, Japanese, Korean, Traditional Chinese, Simplified Chinese, Czech, Polish, Hungarian and Russian. If .NET Framework 4.5 is installed before installing AutoCAD 2012 the installation will fail. This can for example happen on Windows 8. Supported solution is to uninstall .NET Framework 4.5 first and then install AutoCAD 2012. Unsupported solution is to edit the setup.ini file and delete .NET references in the file. Search for DOTNET. You probably will find this "DOTNET20;DOTNET4;DOTNET4LANG;" that can be deleted and then installing AutoCAD 2012 should work. Before you install AutoCAD 2012, close all applications. •When you attempt to install AutoCAD 2012 using different drives of a dual CD/DVD ROM drive, installation fails. You must use the same disc drive to complete the installation process. Microsoft Visual Basic® for Applications (VBA) is available for free download at http://www.autodesk.com/vba-download. Autodesk is transitioning from VBA technology to .NET Framework. The VBA module is available for AutoCAD 2012-based products as an unsupported feature. It will not be available in future releases of AutoCAD. Autodesk will provide documentation and other assistance to help customers and developers migrate from VBA to .NET Framework. 2.Visit http://www.autodesk.com/vba-download and based on your operating system, download the self-extracting executable (EXE) file. 3.In Windows Explorer, double-click the downloaded file. 4.Unzip the file to the location of your choice, or use the default location. In the AutoCAD 2012 Deployment Wizard the Select Installation Folders for Support Content page allows you to specify a custom folder in which to copy support content. If you specify a folder location that has Read Only permission at the user level according to the Microsoft Vista User Access Control, then AutoCAD may become unstable. To avoid this, ensure that you have Write permission on your Microsoft Vista machine when creating your deployment with the Custom Folder option. When using the Single Shared Folder option to create a deployment image, specify a folder name to avoid creating an invalid deployment image. Do not leave the folder name as “<Shared folder path>”. When starting the network version of AutoCAD 2012 on a Microsoft Windows Vista workstation, you may encounter licensing error -15 if the Network License Manager is running on Windows Vista (FLEXlm server version 11.4.100). •Install the latest service pack and updates for Microsoft Windows Vista. •On the Start menu (Windows Vista), click Control Panel Network and Sharing Center Manage Network Connections. Right-click Local Area Connection. Click Properties. Clear the check box for Internet Protocol 6 (TCP/IPv6). Click OK. The FLEXlm License Finder dialog box may not display when AutoCAD 2012 is started for non-administrative users who are using Windows Vista 64-bit. The license server path information is stored in the HLKM\SOFTWARE\Wow6432Node path, which is not accessible to non-administrative users. To fix this problem, replicate the license server path information stored in the above path to go to the HKLM\software\FLEXlm License Manager path. For the best program performance, verify and update your graphics card driver. For more information, see Graphics Card Driver Update. It is not recommended that you use any type of remote access application in conjunction with AutoCAD 2012 when it is configured to use hardware acceleration. Most remote access applications cannot support hardware acceleration, which can cause general display failure and instability. If you need to use remote access applications, disable hardware acceleration or use the /NOHARDWARE command line switch to start AutoCAD 2012 in Software mode. To download and install the latest hardware certification XML file, visit http://www.autodesk.com/autocad-graphicscard. You are invited to help guide the direction of Autodesk design software. If you participate in the Customer Involvement Program (CIP), specific information about how you use AutoCAD is forwarded to Autodesk. This information includes what features you use the most, problems that you encounter, and other information helpful to the future direction of the product. When you join, you will be able to view reports that can help you optimize your use of AutoCAD. 1.On the InfoCenter toolbar, to the right of the Help button, click the drop-down arrow. 3.In the Customer Involvement Program dialog box, select to start or stop participating. AutoCAD 2012 for 64-bit does not support Microsoft Jet 4.0 OLE DB Provider (for .MDB connectivity) and Microsoft OLE DB Provider for ODBC Drivers (for .XLS connectivity). For more information, see Substituting SQL Server for OLE DB in the Driver and Peripheral Guide. AutoCAD 2012 is binary compatible with AutoCAD 2011 and AutoCAD 2010, but not AutoCAD 2009 and prior releases. To make applications developed for AutoCAD 2009 or earlier releases compatible with AutoCAD 2012, you must recompile them with the ObjectARX 2012 libraries. Applications compiled with the ObjectARX 2012 libraries might not work in AutoCAD 2011 or prior releases. If your applications need to be compatible with AutoCAD 2010 and later, use the ObjectARX 2010 libraries. In AutoCAD 2012, if you enter the VLIDE command, pressing F1 opens Autodesk Exchange for AutoCAD or the locally installed Help files. To open the AutoLISP Reference Guide, on the Help Home page, click Developer's Documentation and then click AutoLISP Reference Guide (or click AutoLISP Reference Guide when using Help locally). In Visual LISP™, select a function in the editor window and press Ctrl+F1 to access information about the selected function. For help with vla-* functions, see the AutoCAD ActiveX and VBA Reference available at C:\Program Files\Common Files\Autodesk Shared\acadauto.chm (not available online). The Plot Styles folder is located within the Plotters folder; they are no longer at the same level. To optimize AutoCAD 2012, verify and update your graphics card driver. 2.At the Command prompt, enter 3dconfig. 3.In the Adaptive Degradation and Performance Tuning dialog box, click View Tune Log. 4.Review the 3D Device section for information about your system's graphics card driver and driver version. If you need to update your driver, visit http://www.autodesk.com/autocad-graphicscard to find a certified driver for your graphics card. If you do not find one, visit your graphics card manufacturer's website. If the graphics card manufacturer does not have an updated driver, check the system manufacturer’s website. Companies such as IBM, Hewlett Packard, and Dell often supply their own system drivers. Displays tools specific to 2D drafting. Displays basic tools specific to 3D modeling. Displays tools specific to 3D modeling. Displays AutoCAD without the ribbon. •On the Quick Access toolbar, click the Workspace drop-down list and select a workspace. •On the application status bar, click the Workspace Switching button and select a workspace. •In US English, DesignCenter Online (DC Online tab) is disabled by default. You can enable it from the CAD Manager Control utility. •The IMPORT command does not support mesh geometry. •If User Account Control (UAC) is enabled on Windows Vista or Windows 7, or if you do not have administrator privileges, importing a custom setting may result in an error. To work around this issue, do any of the following: •Log in using an administrator account before running Import AutoCAD 2012 Settings. •Right-click the Import AutoCAD 2012 Settings shortcut and run as an administrator. •User libraries created in AutoCAD 2011 and edited in AutoCAD 2012 are not supported in AutoCAD 2011. The materials from the modified user libraries can only be used in AutoCAD 2012. •Do NOT save drawings or any other files in the same location as the material libraries. Any files saved in that location are deleted when the materials libraries are uninstalled. •Model documentation views do not support mesh objects. •If your default internet browser is Google Chrome™, Help search results will not be displayed. Change your default browser to Internet Explorer®, which supports all Help functionalities. 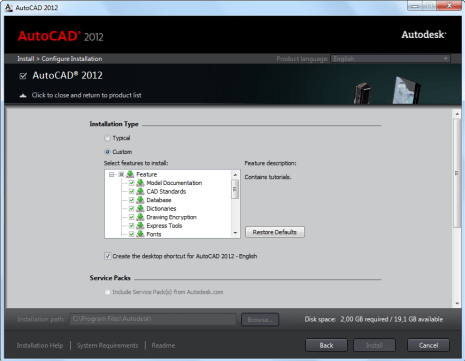 Before you uninstall AutoCAD 2012 or any of its components, close all running applications. 1.On the Start menu (Windows), click Control Panel Uninstall a Program. 2.Select AutoCAD 2012. Click Uninstall/Change. If the User Account Control dialog box is displayed, click Yes. 3.In the installation wizard, click Uninstall. 4.On the Uninstall AutoCAD 2012 page, click Uninstall. If you have other Autodesk products installed, do NOT uninstall Material Libraries. 3.If you have downloaded the Autodesk Material Library Medium Resolution Image Library 2012, select it and click Uninstall. 4.If the User Account Control dialog box is displayed, click Yes. 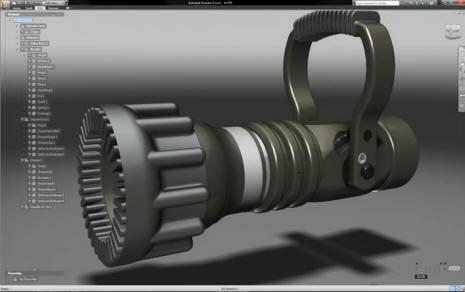 2.Select Autodesk Inventor Fusion 2012. Click Uninstall/Change. If the User Account Control dialog box is displayed, click Yes. 4.On the Uninstall Autodesk Inventor Fusion 2012 page, click Uninstall. 2.Select Autodesk Inventor Fusion plug-in for AutoCAD 2012. Click Uninstall/Change. If the User Account Control dialog box is displayed, click Yes. 4.On the Uninstall Autodesk Inventor Fusion plug-in for AutoCAD 2012 page, click Uninstall. 2.Select Autodesk Content Service. Click Uninstall. If the User Account Control dialog box is displayed, click Yes. Here are the minimum system requirements for both 32-bit and 64-bit operating systems. Recommended requirements: In addition to the minimum requirements, these system requirements also include recommended requirements for memory and graphics cards. The recommended operating system is Windows 7 (64-bit). 1280 x 1024 True color video display adapter with 128 MB (recommended: 256 MB for normal images and 512 MB for Medium Image Material Library images), Pixel Shader 3.0 or greater, Direct3D® capable workstation class graphics card. For Mac see AutoCAD for Mac. A server network can include Windows, Mac OS X, and Linux servers in any combination. NoteThe Network License Manager supports Ethernet network configurations only. There are three possible server models that support the Network License Manager: Single License Server Model, Distributed License Server Model and Distributed License Server Model. NoteThe Network License Manager supports multiple network interface cards, but at least one must be an Ethernet card. NoteThe Network License Manager uses TCP packet types. Intel PC 64 Windows 2008 or Windows 2003 R2 servers running on VMware® ESX3.5 Update 3 (License Manager Only) Vista 64-bit or 32-bit, Windows XP 32-bit, Windows 7 32-bit (Home Premium, Professional, Ultimate, and Enterprise), Windows 7 64-bit, Windows Server 64-bit or 32-bit. with the AutoCAD 2012 software? 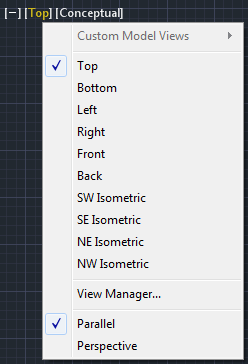 Do AutoCAD 2011 customized menus work in AutoCAD 2012 software? toolbar icons, hatch patterns, linetypes, command shortcuts, and profiles. Refer to www.autodesk.com/migrationtools for additional migration tools. Has the AutoCAD 2012 DWG file format changed from the AutoCAD 2011 product? different from the 2011 DWG file format. Does AutoCAD 2012 software read and save drawings created by earlier releases of AutoCAD? Can I open an AutoCAD 2012 drawing with an older release of AutoCAD? AutoCAD application in order to convert DWG files. 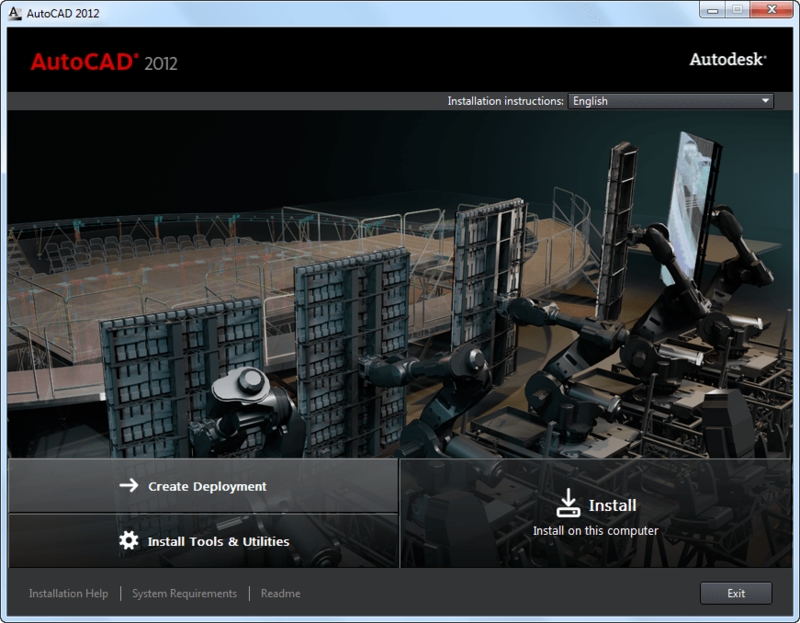 Can I run AutoCAD 2012 side-by-side with other AutoCAD platform–based applications? or Autodesk® vertical solution, including AutoCAD 2012–based products. Is AutoCAD 2012 compatible with AutoCAD LT? for compatibility with older products. How do I transfer my software license to another machine? How do I find out if service packs are available for AutoCAD 2012 software? Why can't I activate a previous release of AutoCAD software? Error on startup or AutoCAD is not installed properly. Please reinstall immediately. You want to know how to export your AutoCAD model into Quantity Takeoff. 2012: _EDITINFUSION Unknown command "EDITINFUSION"
Autodesk ?????? ?? ??? ???? ?? You are using AutoCAD 2012 and notice that some requests to Autodesk servers are being denied. Exchange: Access to help when user is online. Sign in to Autodesk: Single sign-in to Autodesk Servers. 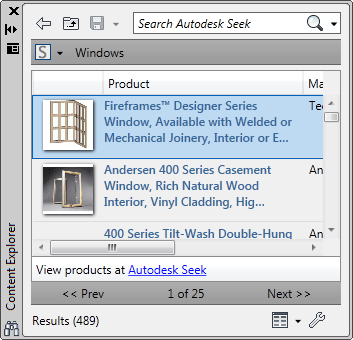 Content Explorer: Accessing SEEK from the Content Explorer AutoCAD plug-in. An intercepting proxy (also known as a forced proxy or transparent proxy) combines a proxy server with a gateway or router (commonly with NAT capabilities). Connections made by client browsers through the gateway are diverted to the proxy without client-side configuration (or, often, knowledge). Connections may also be diverted from a SOCKS server or other circuit-level proxies. Transparent proxies will not prevent access to Autodesk Server components. Adding an exception to the Proxy Settings to allow autodesk.com will bypass requests from the proxy server and will allow access to Autodesk.com servers (after making sure your network is setup to route requests directly to the autodesk.com domain). You want to know in what order cascade licensing checks for available licenses in Autodesk 2012 products. AutoCAD subscription members can download AutoCAD 2012. What graphic card is best for AutoCAD 2012? See also what's new inAutoCAD Architecture 2012. The following commands are new or have been updated in AutoCAD 2012. The new commands are highlighted. 3DCONFIG Sets options that affect 3D display performance. -3DCONFIG Sets options that affect 3D display performance. 3DEDITBAR Reshapes, scales, and edits the tangency of NURBS surfaces. APPAUTOLOADER Lists or reloads all plug-ins in the application plug-in folder. 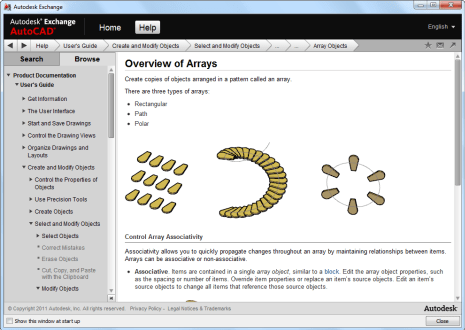 ARRAY Creates copies of objects arranged in a 2D or 3D pattern. ARRAYCLASSIC Service Pack 1 adds the classic Array dialog. 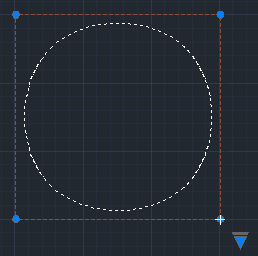 BLEND Creates a spline in the gap between two selected lines or curves. CHAMFER Bevels the edges of objects. CHAMFEREDGE Bevels the edges of 3D solids and surfaces. CLASSICGROUP Opens the legacy Object Grouping dialog box. CONTENTEXPLORERCLOSE Closes the Content Explorer window. 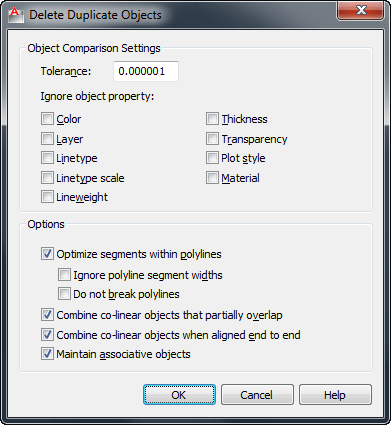 CONVERT Optimizes 2D polylines and associative hatches created in AutoCAD Release 13 or earlier. COPY Copies objects a specified distance in a specified direction. CUI Manages the customized user interface elements in the product. CUSTOMIZE Customizes tool palettes and tool palette groups. DATAEXTRACTION Extracts drawing data and merges data from an external source to a data extraction table or external file. -DATAEXTRACTION Extracts drawing data and merges data from an external source to a data extraction table or external file. DGNBIND (-DGNBIND) Binds DGN underlays to the current drawing. EDITINFUSION Edits solids and surfaces in Inventor Fusion. EXTEND Extends objects to meet the edges of other objects. FILLET Rounds and fillets the edges of objects. FILLETEDGE Rounds and fillets the edges of solid objects. FILTER Creates a list of requirements that an object must meet to be included in a selection set. GETLINK Generates a URL to the AutoCAD WS online copy of the current drawing. GROUP Creates and manages saved sets of objects called groups. JOIN Joins the endpoints of lines, 2D and 3D polylines, arcs, elliptical arcs, helixes, and splines to create single object. LIST Displays property data for selected objects. LOFT Creates a 3D solid or surface in the space between several cross sections. MANAGEUPLOADS Manages the uploading of files stored on the AutoCAD WS server. MEASUREGEOM Measures the distance, radius, angle, area, and volume of selected objects or sequence of points. MESHCAP Creates a mesh face that connects open edges. MESSAGES Displays messages from your AutoCAD WS account. OFFSETEDGE Creates a closed polyline or spline object that is offset by a specified distance from the edges of a selected face on a 3Dsolid or a planar surface. ONLINEDRAWINGS Opens AutoCAD WS in a web browser and lists the available online files. OPENONLINE Opens the AutoCAD WS Editor in a web browser and displays an online copy of the current drawing for online editing and sharing. OPTIONS Customizes the program settings. -OVERKILL Removes duplicate or overlapping lines, arcs, and polylines. Also, combines partially overlapping or contiguous ones. PRESSPULL Presses or pulls bounded areas. 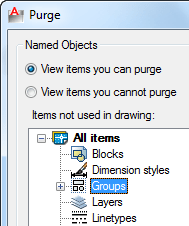 PURGE Removes unused items, such as block definitions and layers, from the drawing. -PURGE Removes unused items, such as block definitions and layers, from the drawing. QSELECT Creates a selection set based on filtering criteria. QUICKCUI Displays the Customize User Interface Editor in a collapsed state. QUICKPROPERTIES Displays quick property data for selected objects. SHARE Shares the AutoCAD WS online copy of the current drawing with other users. SPLINEDIT Modifies the parameters of a spline or converts a spline-fit polyline to a spline. SURFBLEND Creates a continuous blend surface between two existing surfaces. SURFPATCH Creates a new surface by fitting a cap over a surface edge that forms a closed loop. TIMELINE Provides access to previous versions of the AutoCAD WS online copy of the current drawing. UCS Manages user coordinate systems. UCSICON Controls the visibility and placement of the UCS icon. UPLOAD Uploads the current drawing to AutoCAD WS and controls whether to automatically upload changes. UPLOADFILES Uploads selected files to AutoCAD WS. VIEWBASE Creates a base view from model space or Autodesk Inventor models. VIEWEDIT Edits an existing 2D View. VIEWPROJ Creates one or more projected views from an existing 2D View. VIEWSETPROJ Specifies the active project file for drawings containing drawing views from Inventor models. VIEWSTD Defines the default settings for 2D Views. VIEWUPDATE Updates 2D Views that have become out of date because the source model has changed. VPLAYER Sets layer visibility within viewports. -VPORTS Creates multiple viewports in model space or paper space. The following system variables are new or have been updated in AutoCAD 2012. The new system variables are highlighted. APPAUTOLOAD Controls when plug-in applications are loaded. DELOBJ Controls whether geometry used to create 3D objects is retained or deleted. DGNFRAME Determines whether DGN underlay frames are visible or plotted in the current drawing. DISPLAYVIEWCUBEIN3D Controls the display of the ViewCube tool when a 3D visual style is applied to a viewport. DRAGP1 When hardware acceleration is on, controls how many vectors the system draws when you drag objects within a 2D viewport before it checks for a new input sample from the mouse. DRAGP2 When software acceleration is used, controls how many vectors the system draws when you drag objects within a 2D viewport before it checks for a new input sample from the mouse. DWFFRAME Determines whether DWF or DWFx underlay frames are visible or plotted in the current drawing. FRAME Controls the display of frames for all images, underlays, and clipped xrefs. IMAGEFRAME Controls whether image frames are displayed and plotted. PDFFRAME Determines whether the PDF underlay frame is visible. PICKAUTO Controls automatic windowing at the Select Objects prompt. PICKDRAG Controls the method of drawing a selection window. RIBBONBGLOAD Sets ribbon background loading. SNAPGRIDLEGACY Service Pack 1 comes with the option to restore legacy Snap behavior. Turning SNAPGRIDLEGACY ON will restore the old Snap behavior of the cursor when no command is active. Restores legacy SNAP behavior during certain LISP-based selection commands. SNAPMODE Turns the Snap mode on and off. SOLIDHIST Controls the default history property setting for solid objects. SPLPERIODIC Controls whether splines and NURBS surfaces are generated with periodic properties when they are closed, or whether they exhibit legacy behavior. STARTUP Controls whether the Create New Drawing dialog box is displayed when a new drawing is started with NEW or QNEW. SUNDATE Sets Sun position date. SUNTIME Sets Sun position time. UCS2DDISPLAYSETTING Displays the UCS icon when the 2D Wireframe visual style is current. 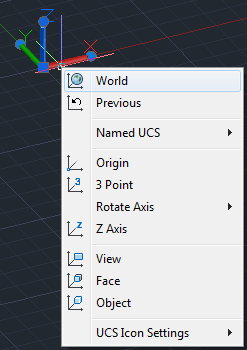 UCS3DPARADISPLAYSETTING Displays the UCS icon when perspective view is off and a 3D visual style is current. UCS3DPERPDISPLAYSETTING Displays the UCS icon when perspective view is on and a 3D visual style is current. UCSSELECTMODE Controls whether the UCS icon is highlighted when the cursor moves over it and whether you can click to select the icon. VIEWBACKSTATUS Sets the mode for VIEWBACK. XCLIPFRAME Determines whether xref clipping boundaries are visible or plotted in the current drawing. Bug fixes are always expected. Subscription Bonus Packs for AutoCAD 2011 are expected to be included as core functions in AutoCAD 2012. AutoCAD WS plugin for AutoCAD and more subscription packs. 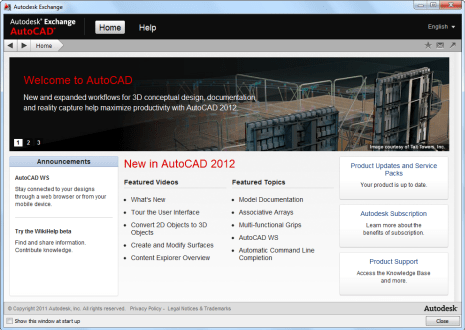 If you want to participate in the Beta testing for the next release of AutoCAD visit http://beta.autodesk.com.